Our two Seafront Villas are located at the edge of the sea and give you panoramic views over the Cretan ocean. Both villas have 3-floors, beautiful gardens and a majestic pool that is lit up at night, giving you a relaxing atmosphere of comfort and pleasure. At the pool area you will find sun beds, sun shades, tables, couches and chairs available to you. On the ground floor you will find bedrooms and private bathrooms while the main floor includes a fully equipped kitchen, dining room and living room with views over the sea. Both villas are decorated in Scandinavian design and are updated each season. Both villas have 4 bedrooms with private bathrooms, double or single bed/s, bedside tables, Herstal lamps, wardrobes, a desk, chair and TV. 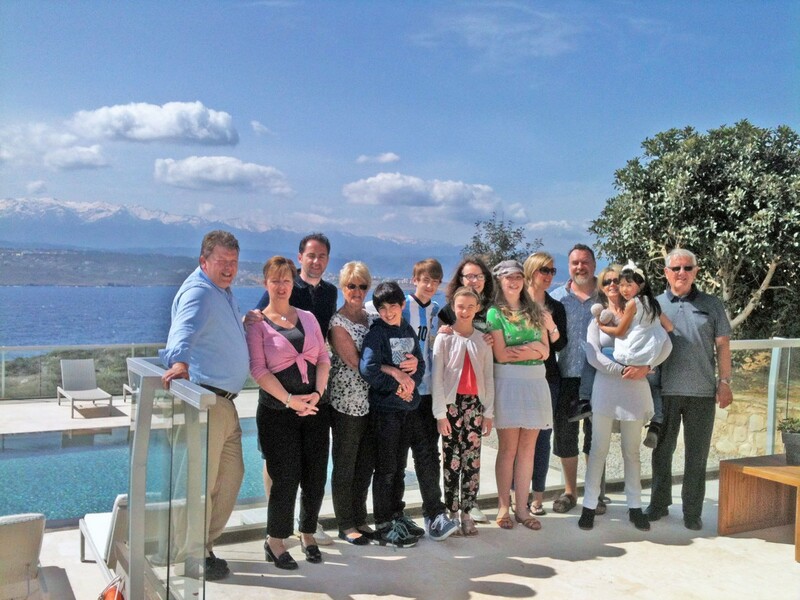 Athena 2 with Seafront view is a great villa for the entire family. It is spacious and open with an elegant design. 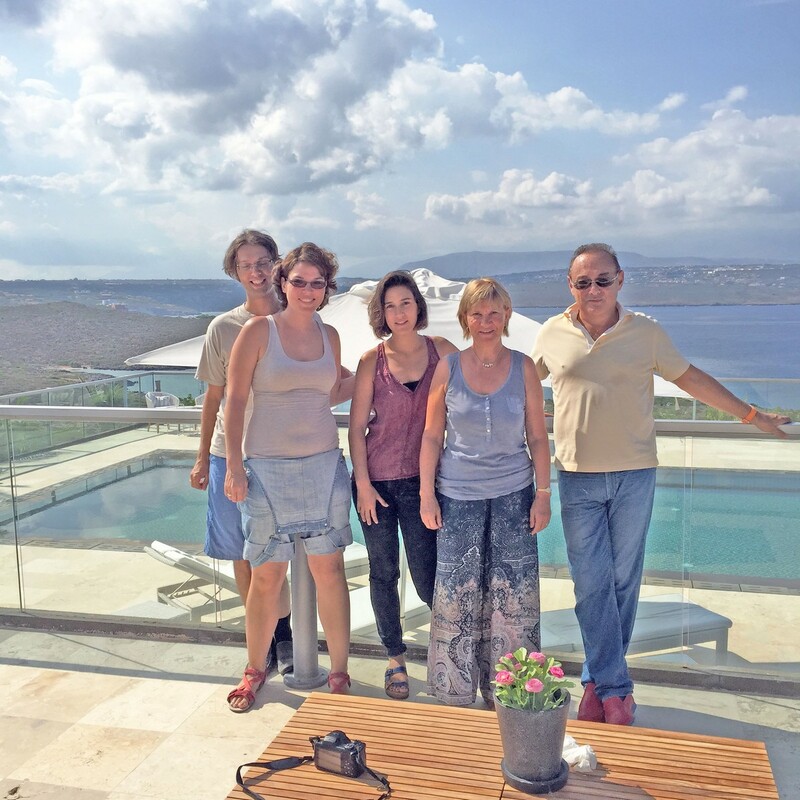 A very private villa with a panoramic view of the ocean, surrounding areas and Chania. Despite the high location and the amazing panoramic view, it is still protected from the wind due to the planting and location of the villa. A unique and outstanding seafront villa. The villa is spacious and located by the beautiful, crystal clear ocean on the highest point of them all. View to both Chania and a 360˚ view of the whole Peninsula of Akrotiri with both ocean and mountains. At night you see the lights of Chania and the small villages surrounding the villas with the ocean in front. Our two Seafront villas give you a panoramic view over Crete. Find your way to Divine Villas from Heraklion or Chania airport. Click on the link below to get online driving directions from Google maps. The position of the villa is absolutely perfect! The views are incredible! Thank you for a fantastic holiday! 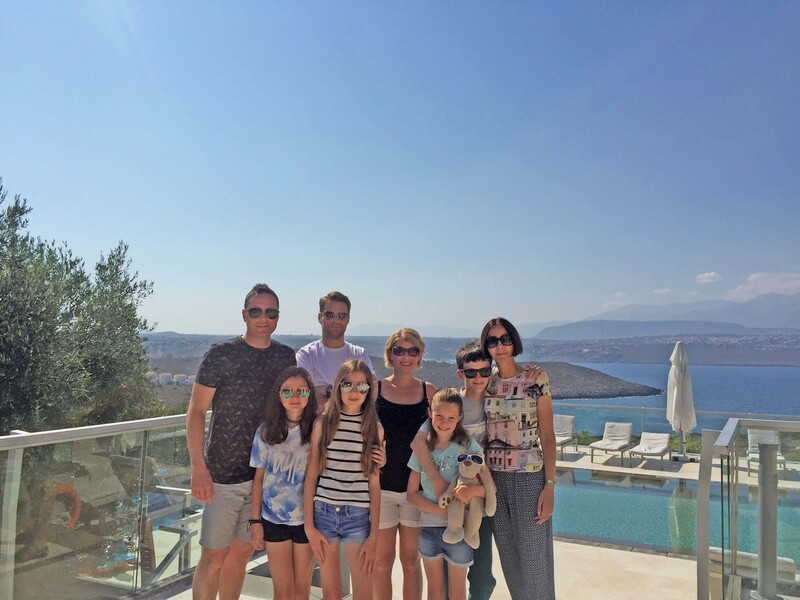 We stayed with an extended family of 14 people with ages ranging from 8 to 70+. 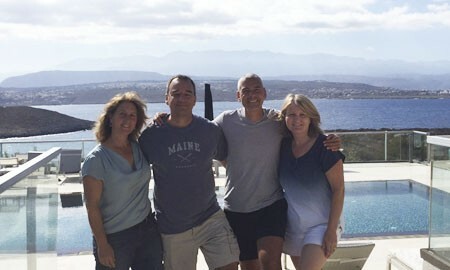 We chose to hire cars, though the villa is only 15 minutes drive from Chania airport, so we could see more of the peninsula. The villa was wonderful. Grandmom loved her morning bath in the little crique below. We all enjoyed the pool, the sun, and the surroundings.